Expanded polypropylene (EPP): that's the magic fairy dust used to make this helmet. 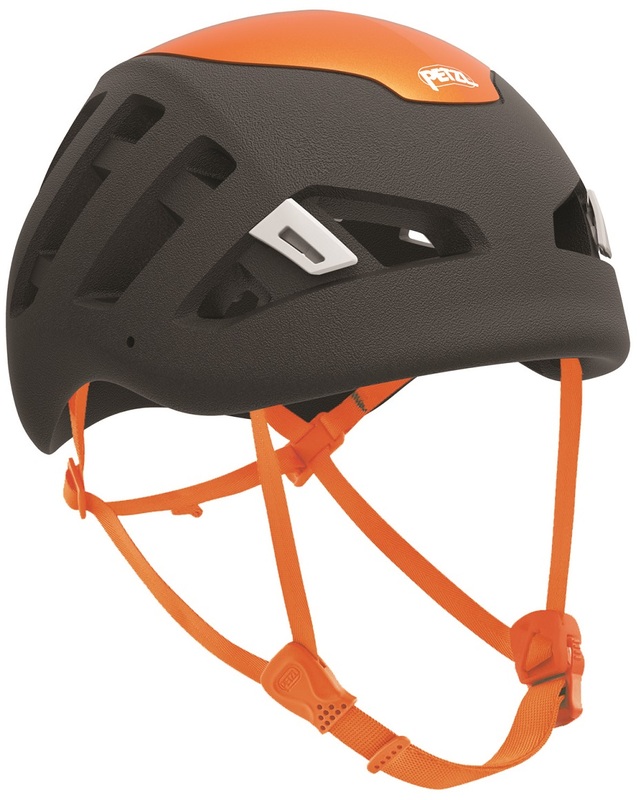 This material along with a webbing retention harness translates to the Petzl Sirocco being the lightest climbing helmet made and infinitely adjustable to ensure a comfortable fit. EPP, in addition to being very light, maintains the ability to be somewhat flexible. A lesser touted benefit of this helmet is the ability to throw it in a pack or the trunk of your car and not have it get crushed. Excellent ventilation, and a nifty magnetic buckle system that is easy to use with gloves on round out a terrific design. Try one on and you'll immediately understand its popularity, possibly despite the color. Excellent ventilation distributed around the crown. Entirely adjustable and adapts to just about all head shapes. Removable comfort foam is quilted and lined with absorbent fabric; washable. 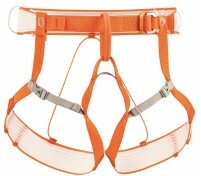 Magnetic buckle allows the chinstrap to be fastened with one hand (Petzl patent). Two mounting holes for VIZION visor. Update for 17/18: Same durable EPP shell material as before, this time with a polycarbonate crown that aids in deflecting rocks and debris. A lower profile shell shape sits further down and offers better protection against side and rear impacts. The venting capabilities have noticeably increased, especially at low speeds. 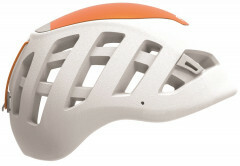 The orange model is the helmet from prior seasons. Bottom Line Featherweight yet still protective. may I have the size of S/M and M/L? 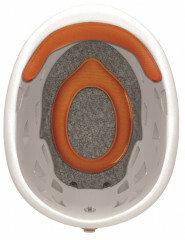 Hi Haoran, the S/M fits a head circumference of 48-58cm and the M/L fits a head circumference of 53-61cm. Anyone have any trouble with goggle fogging on the uphill when the goggles are resting on the front of this helmet given the vents in the front? Hey Sam! Good eye. Never heard that exact complaint before actually, however I definitely could see that happening. The Julbo Aerospace and Julbo Airflux already have that question answered though. The "pop-out-able" lens frame offers a ton of ventilation and has been a personal favorite of mine for a while now. They're sweet and would solve that issue no problem! 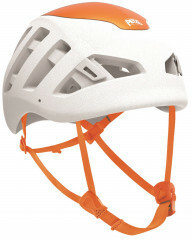 Does this helmet meet the current requirements for ISMF/USSMA sanctioned races? Hi Greg, unfortunately not since it doesn't have a ski certification. That's because the vents are too large so it fails the ski pole test (you can get poked by a pole through the vents in theory). That said, that rule won't be enforced much in the US for 2017/18, only at the national races. I bought the new version in August, and have used it for six days of mountaineering in Canada, and then some rock climbing in the U.S. The lack of weight reminded me of my first time using race gear, where something that was always a burden suddenly didn't matter any more. I've been wearing it on approaches just because it's so light and comfortable that it's easier to wear than to carry. The strap system is very simple, and easily adjustable for toques. My headlamp stayed on when I needed it to. Haven't tried with goggles yet. And it's far less ugly than the original. Executive summary = amazingly light, surprisingly good fit, downright embarrassing appearance. 1. Sizing seems too big for the spec. 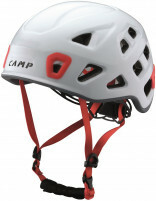 My head circumference is 57.2cm, which over the years has matched up well with my ski helmets, bike helmets, the CAMP Speed "1.0" 56-62cm range, and other climbing helmets. 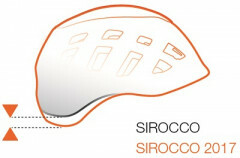 The Sirocco Size 2 is 53-61, and front<>back was okay, but the sides were just sticking out far too much. I was able to get the Size 1 48-56cm to work by removing the small comfort foam piece in front. 2. Appearance is so bad that it's good, like a really good bad movie (or when Orwell decided that Kipling was not a bad good poet, but rather a good bad poet). Something about the contours, the color, and the texture all taken together is just so very wrong. 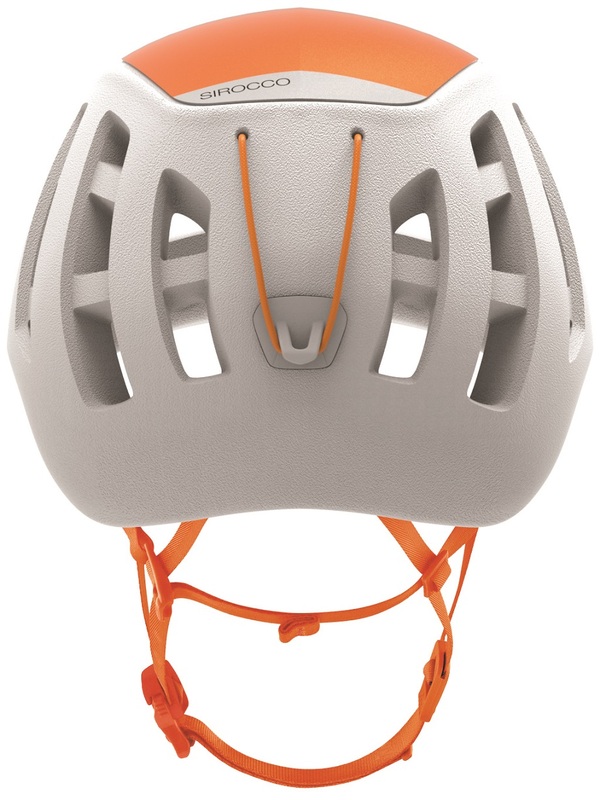 Either Petzl designers are so good that they care only about function, or instead if they care about styling then they are utterly incompetent.  So try to take your pictures such that the top of the helmet can be cropped out (seriously), like in the attached photo. 3. The straps are so narrow that they're easy to twist up when putting on the helmet. But they're so thin that even when twisted they're still super comfy. 4. The magnet to enhance one-handed connection of the chin strap is clever, but it can allow the strap to be closed insecurely with only one of the two side clips engaged. Once aware of this possibility though, it's not longer a problem -- just need to remember to check that both sides of the clips are engaged. 5. Compared to the CAMP Speed, seems to have slightly less side protection. 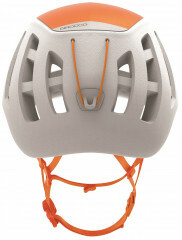 Although if that is an important issue for you, should get a dual-cert ski/climb helmet. 6. Vents are impressively ample. But realistically no climbing helmet will ever vent well at ascent speeds, since it has to be solid up on top to be certified. Does cool down very well on skiing descents at speed, so well that when I tried it in a race with nothing underneath on what I thought was a warm day I got the worst "ice cream headache"! 1. Weight. Yes, that can be summed up adequately in a single number, but it's still amazing. 2. Durability. 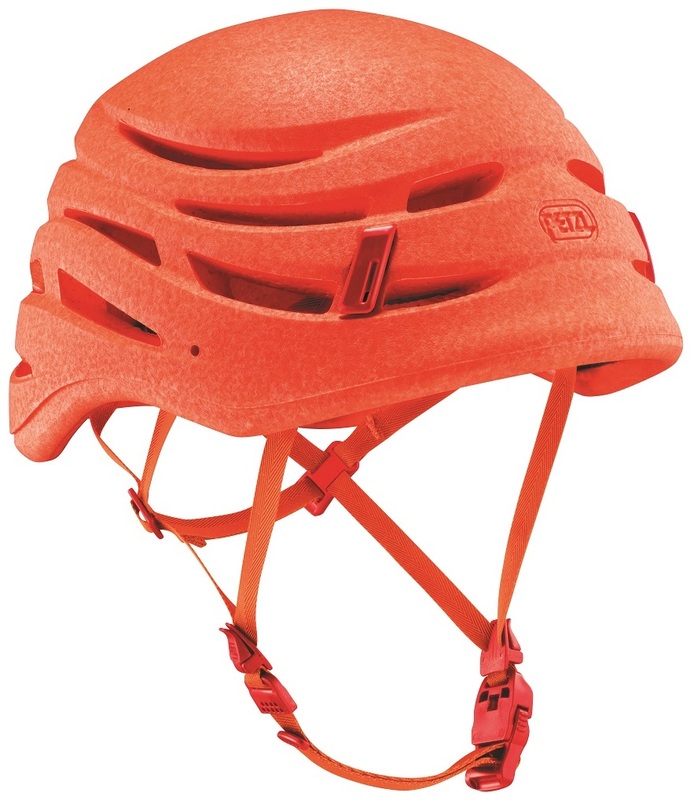 As demonstrated to me by a Petzl rep, you can step on this helmet, smush it, etc., w/o worrying about damage to the thin plastic exterior ... because there is no thin plastic exterior, just a single piece of foam. So it's been my favorite now going into its fifth season when strapping a helmet to the back of my pack for long dry approaches in late spring and summer when it might get jostled around back there. 3. Can also attach a Petzl Vizion visor, but my impression is that those are more for ice climbers, so I've stayed with the usual assortment of sunglasses, wrap-around shields, and ski goggles. 4. Strap system is brilliant. 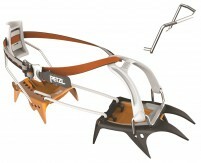 With just thin straps, Petzl has achieved the same adjustable and snug front<>back fit that is usually achieved by much more bulky adjustment systems/knobs/etc. at the back of the head. In addition to weight savings, less interference with wearing a sun cap underneath or sunglasses retainer. 5. Headlamp clip in back is minimalistic (well, of course, everything has to be at this weight) yet effective, and even securely holds a wide ski goggle strap. Should be obvious, but my review is for the all-orange original model, i.e., prior to the multi-color versions of the 2017-18 season. Detailed compare/contrast of the two different versions here.